It was an amazing event. Thank you to everyone who came along you were all perfect (only got a minor shout down from the health and safety team for how many of you there were). Here are just a few of the photos taken on the day. I may put an album together at some point. 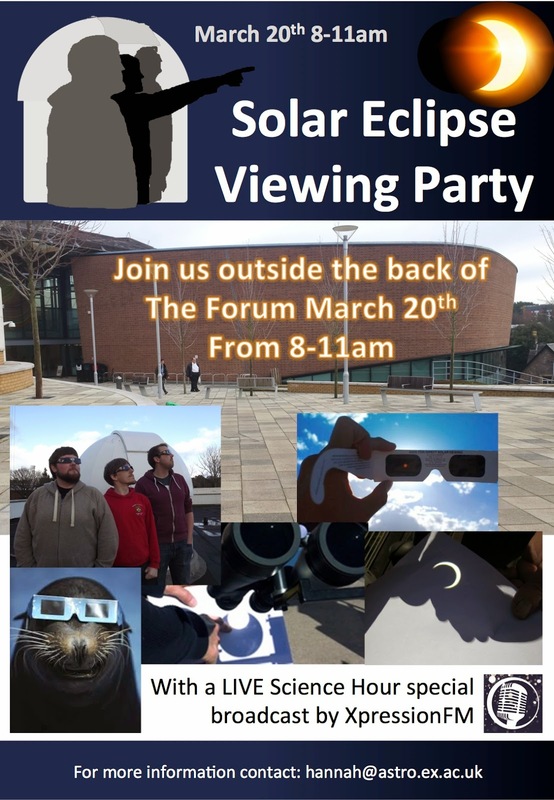 Here at the University of Exeter, we are holding our own Solar Eclipse Viewing Party for the local community, from 8-11 near the Forum on the Streatham Campus. It has a fantastic view south, which offers the perfect view of the morning sun. 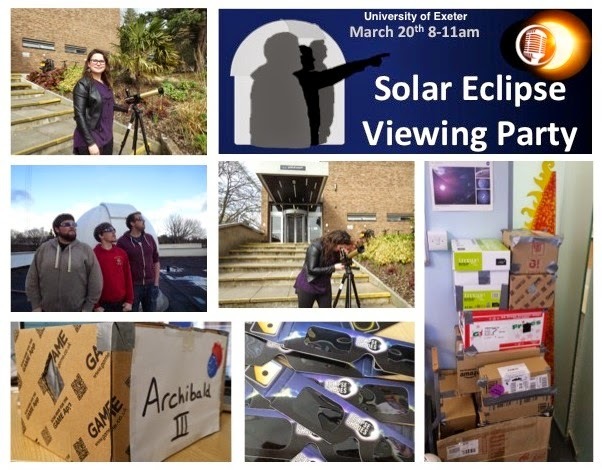 At the event there will be a big range of ways for everyone to safely view the sun with a range of different cameras, projections, and glasses, provided by the Astrophysics Group which is helping run the event. They will even have their radio telescope pointed at the sun to record the signal from the Sun as the moon steadily blocks it out. If you are not able to come along yourself you can tune into the XpressionFM, found at 87.7FM, who will be broadcasting live throughout the morning and have compiled a special eclipse playlist with The Science Hour team taking you through the events as they unfold. We have a huge number of ways that you can safely view the eclipse event so come along and get involved in this unique opportunity.